Meal times at 外婆家 is especially fun for Ted because 外婆 would always make sure that there is plenty of variety. All the dishes put out on the table (even for adults) are toddler friendly. Vegetables are chopped finely, and soup is cooked with plenty of vegetables. There is almost always steamed fish on the table, and at least a few different cut fruits or fruit juices on the menu. 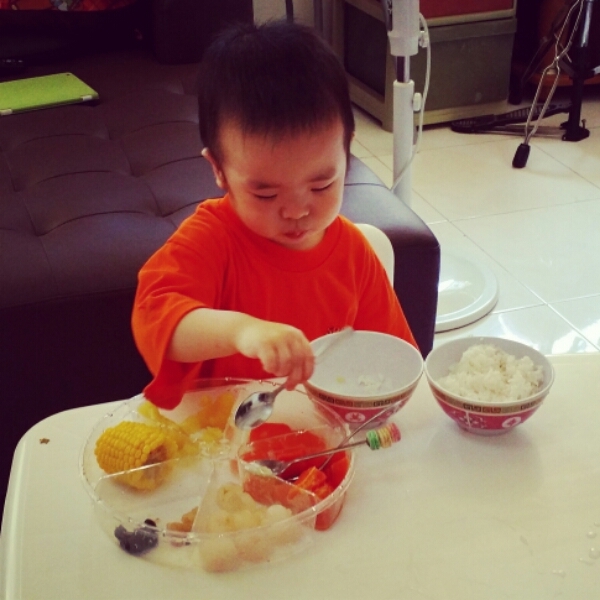 Recently, 外婆 found a new way to partition out the variety of foods she has prepared. Apparently the usual toddler plates with 3 different partitions aren’t good enough for her. She recycled a candy box which had 6 partitions, and Ted’s meals are now a lot more fun! 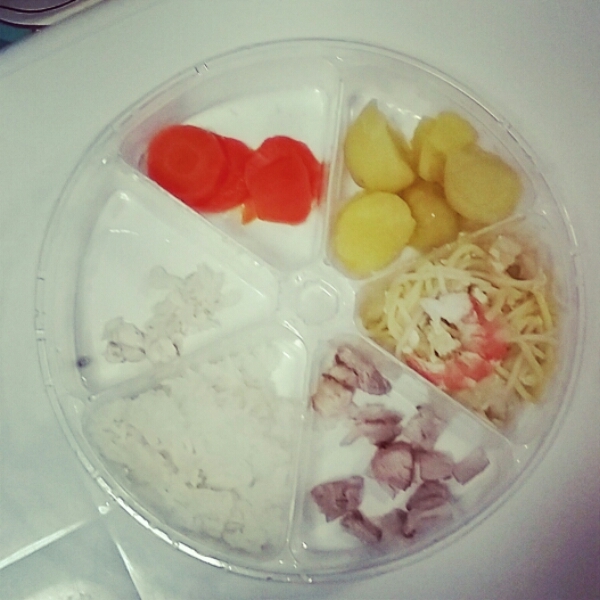 In the picture below, Ted had rice, fish, carrots, potatoes, home-cooked hokkien noodles (my mum makes awesome tasty healthy hokkien noodles!) and the lean part of roasted pork belly. It’s really awesome being a toddler at 外婆家.